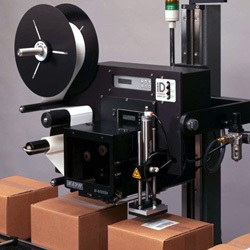 The Model 501 automatic vertical bagging machine comes with a cup counter and cup loader. From the CCL cup counter to the cup loader infeed system, this system creates a quality seal. With the VCCL vertical cup infeed system, Rennco offers versatile solutions. Model 301 vertical L bar bagger with plate infeed. 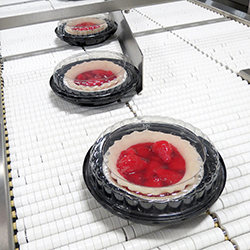 With the two tier trim press interfacing system, lids are organized during production. 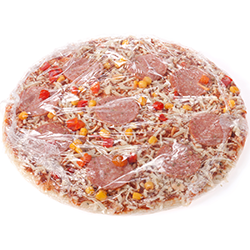 The Rennco Model TPI keeps products separated and secure for organization in manufacturing. With speed and precision, the Model 501 has the ability to bag foam trays. 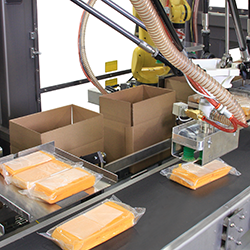 Combining the Model 501 with the SPS tray packing system allows for innovation and precision. Pairing two Rennco systems together, industries are able to increase production rates. This automatic vertical bagging set-up utilizes the infeed chute to carry bottle caps into the L bar sealer. Ideal for companies that use injection-molding machines.